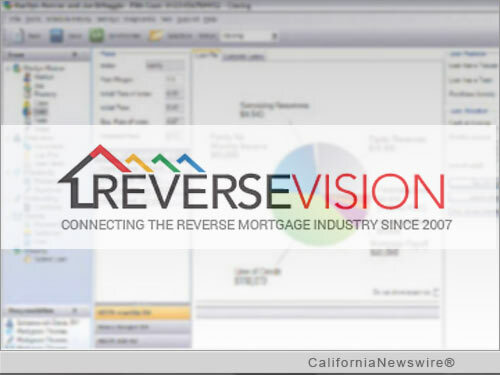 SAN DIEGO, Calif. /California Newswire/ — ReverseVision, the leading provider of software and technology for the reverse mortgage industry, today announced it has been named to HousingWire’s HW TECH100(TM) list of the housing economy’s most innovative technology companies for a second time. Previously recognized in 2015, ReverseVision is the only reverse mortgage loan origination software (LOS) provider to be selected for the prestigious award in 2017. A driving innovator in the reverse mortgage industry, ReverseVision’s growth, leadership and innovation have been recognized in Deloitte’s Technology Fast 500(TM) listing and by such publications as HousingWire, Mortgage Banking and Mortgage Professional America. ReverseVision’s annual user conference, the only event of its kind in the industry, brings together more than 200 lenders, vendors and educators each year to advance reverse mortgage lending. The company continues to build on its technology’s pioneering capabilities with frequent enhancements aimed at boosting users’ reverse mortgage volume, workflow efficiency and data analysis capabilities.